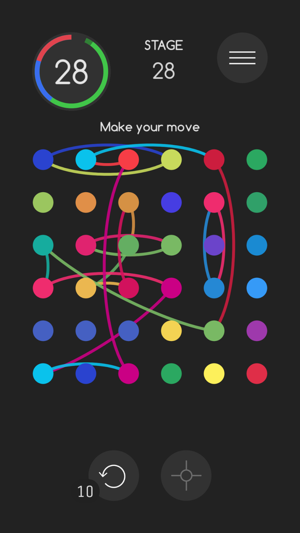 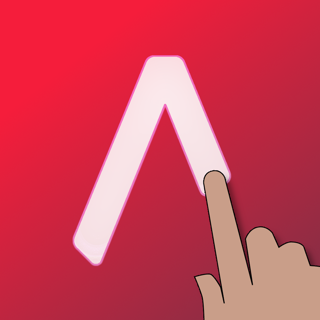 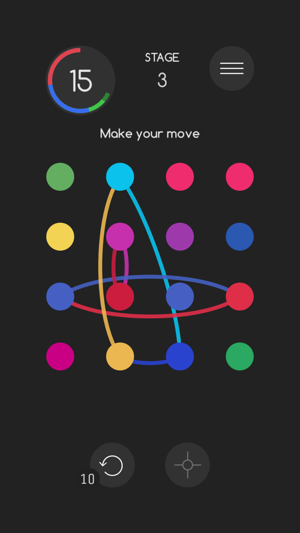 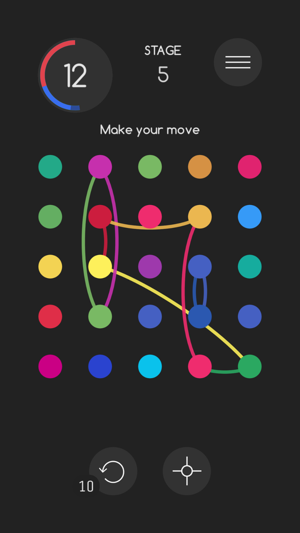 Yumak is a logic puzzle game in terms of chance factor minimized to the initial shuffling of nodes and the rest completely relies on the player’s thinking ability. 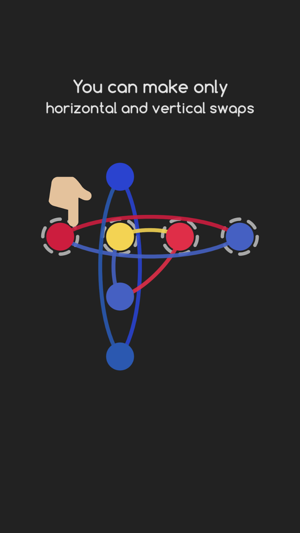 Every button/node has a target place (row and column it belongs to) on 2D NxN matrix indicated by a hole and a rope attached to it. 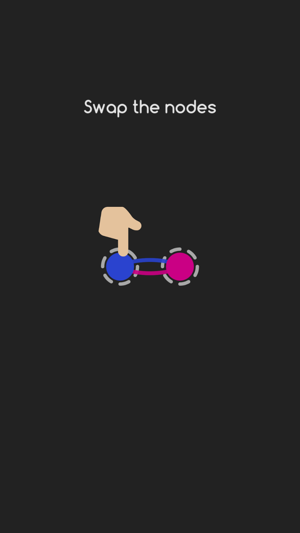 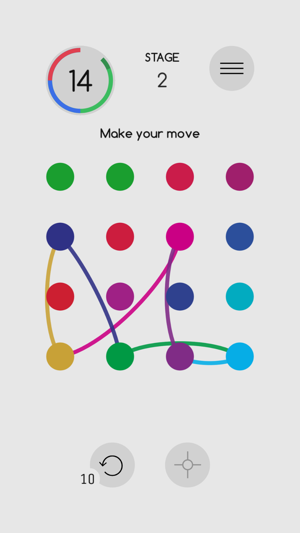 The player solves the puzzle by placing every node to its place by making swaps with other nodes in given time/moves. 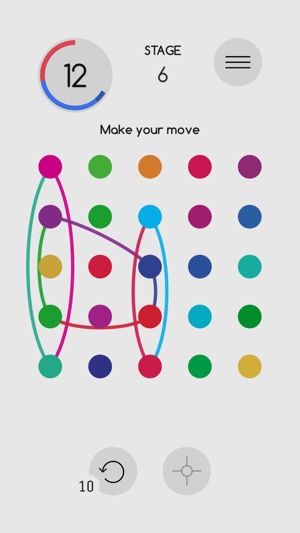 While a swap can be horizontal and vertical, strategic depth comes from swapping two nodes cause in-between nodes to swap also, so placing the nodes one by one to their original places will not work in most cases because of move/time limit configured to promote use of in-between swapping functionality in order to win stages, i.e. 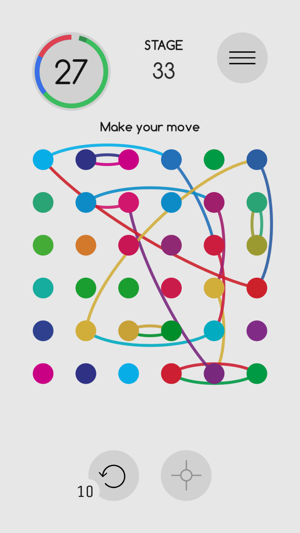 making moves that solve more than two nodes at once and planning for remaining moves encouraged.